I just had to share an underground video I just checked out explaining a pretty cool muscle growth technique called: "INTENTIONS"
A little while ago Jimmy (my training partner) once told me his philosophy when it came to building muscle. He said "Rich, think of your muscles as being a wet sponge. And with every exercise you do it's like squeezing that sponge out. So with that being said in order to build muscle the goal of your workout should be to squeeze ALL THE WATER you possibly can out of that sponge when you're in the gym"
What Jimmy was talking about was putting the maximum amount of TENSION on your muscles during each exercise. FACT: The only way to build muscle is to create the greatest amount of "tension" or torque in a muscle within a given period of time. Putting the "maximum" amount of tension your muscles is tough. And if you don't know what you're doing or how to do it then your results will suffer. In fact if you have a lagging or "stubborn" body part then this might be the answer you're looking for because the video below explains not only why you have lagging body but also how to fix it... with an "underground muscle growth technique called INTENTIONS. The guy in the video is Ben "Pacman" Pakulski (an IFBB Pro Body Builder). I was actually on my way to attend a fitness seminar to meet him as well as a few other Pro Fitness Models and learn some tricks of the trade. But that's how much I respect Ben Pakulski and the body building advice he gives. Because those two sections definitely gave some "AH HA" moments on things that I going to apply the next time I go to the gym. And I have a feeling those will help you out the most as well. Today, we’re gonna be talking about the most important, yet most neglected body part in all of weight training: the legs. This topic is so important that I feel the need to dedicate an entire article to just convincing you that training legs, and training them hard, is a MUST. I could go on and on about why having big legs is not only good for your physique, but will also help you push past weight plateaus that you wouldn’t otherwise be able to. So let’s dive right in and talk about number 1 on the list. I can’t even count the number of times I go to a gym and see a bunch of guys working on chest, back, biceps, triceps, etc. And they walk around, thinking their big and tough… except they’re all wearing pants… and when the AC blows… you can tell they’ve never trained legs a day in their life. You think you’re big without big legs? You’re not. Your legs are LITERALLY HALF YOUR BODY. So no matter how much you can bench, no matter how many pounds you can curl, no one is impressed if you have stick-figure legs. As a wise man once told me, your legs have to support all of your body weight. So if you’re legs aren’t big and strong, it’s going to be hard for your body to pack on mass. Your base just won’t be strong enough to support it. Makes sense right? And if you’re reading this right now, you don’t need any more than the two reasons listed above to start hitting the rack. Reason #4: You Need Your Legs More Than You Think! Finally, your legs are an essential part of every compound exercise that you do. And as we’ve learned previously, compound exercises are the best way to not only get stronger, but also to build more muscle and gain more weight. Some food for thought: When you bench, you’re always told to keep a stable base and put your legs firmly and in a comfortable position on the floor. Why is that? (because you drive with your legs even when you’re working your chest… that’s why its called a COMPOUND exercise). Again, when you deadlift, why is it that you’re told to drive through your heels? (the power is primarily coming from your legs). And finally, when you clean and press, why do you explode with your legs on the clean portion, squat down a bit, and then drive again with your legs in a fluid motion on the press portion? (because your legs generate the most power here). "Be a Man...WORKOUT YOUR LEGS"
Today I'm going to break down something very BIG when it comes to building muscle and gaining weight. And it's the "Good", the "Bad" and the Ugly when it comes to "Bulking" up. Specifically I'm talking about the "Bulking" Technique. If you don't know what that is, in simple terms it's when your diet and training are both focused on MAXIMUM muscle gain and a large part of this has to do with consuming very large amounts of calories each day. Now there's a good side to this, a bad side to this and an UGLY side to this (as you'll soon see). And in the next few minutes you'll know if it's for you and if it isn't what other route you can take to reach your muscle building goals. Even though the "bulking" technique is an effective way to build muscle it's not for everyone. So if you're thinking about "bulking" then there's some key things you need to know FIRST to see if it's right for you. basically anyone who naturally struggles with building muscle. 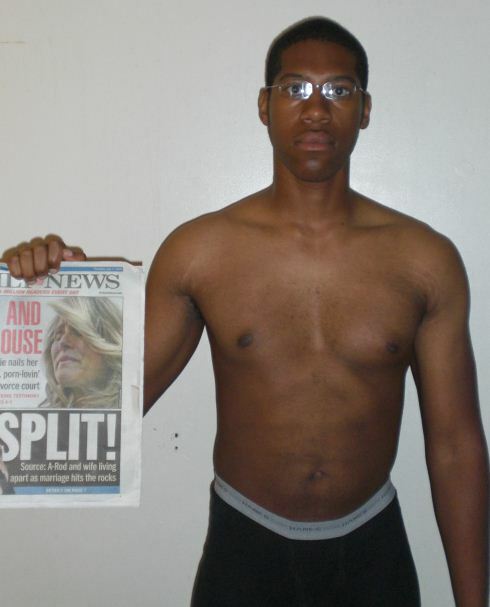 The reason why I say this is because the bulking technique helps you build muscle and gain weight no matter how stubborn your "genetics" are. It's also fairly simple to follow and very focused. Aside from eating the wrong things at the wrong times, you can "almost" eat whatever you want, as long it it provides the right amount of carbs, proteins, and fats. And probably one of the main benefits of the bulking technique especially for newbies trying this out for the first time is that results are seen rather quickly compared to other muscle building strategies. Probably the biggest down side to Bulking is that, if done correctly you WILL see fat gains. Since you're essentially "over eating" (consuming more calories then your body burns) on a daily basis then should expect to see some fat gains. Bulking, can actually be bad for your health. For starters when you "Bulk" it's typical to decrease the amount of cardio you do, so you can dedicate more calories to muscle growth. Second, it's typical for things like your cholesterol and blood pressure to increase due to fact that you're experiencing extra muscle and fat gains and doing less and less cardio. And it's for these reasons why Bulking is meant to be a short term strategy for fast muscle gains. That's why most bodybuilders only "bulk" for a few weeks or at most a few months in their off season and then take more conservative approaches to reach their goals. Since fat gains go hand in hand with bulking it's best to start a "bulking" phase when you're at a low body fat. (Trust me on this one) If you can't even see the outline of your abs then you'll need to drop some body fat first BEFORE you start a "bulking" phase. 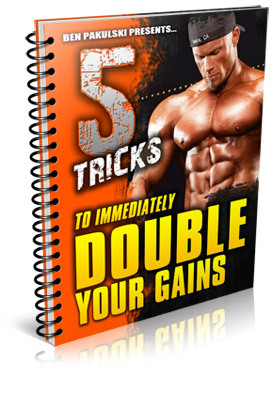 Due to the fat gains that you'll experience, this technique is also not ideal for those who want to keep their waist line small and their body fat % down while they're building muscle. If done incorrectly you can put on ALOT of unwanted body fat using the "bulking" technique (Which you'll soon see). And going with that, the more body fat you have, the longer it takes to "cut" the fat and shed those "pudge" pounds. Trust me, if you thought building muscle was hard, going on a cutting diet for months in my opinion is 10x worse. 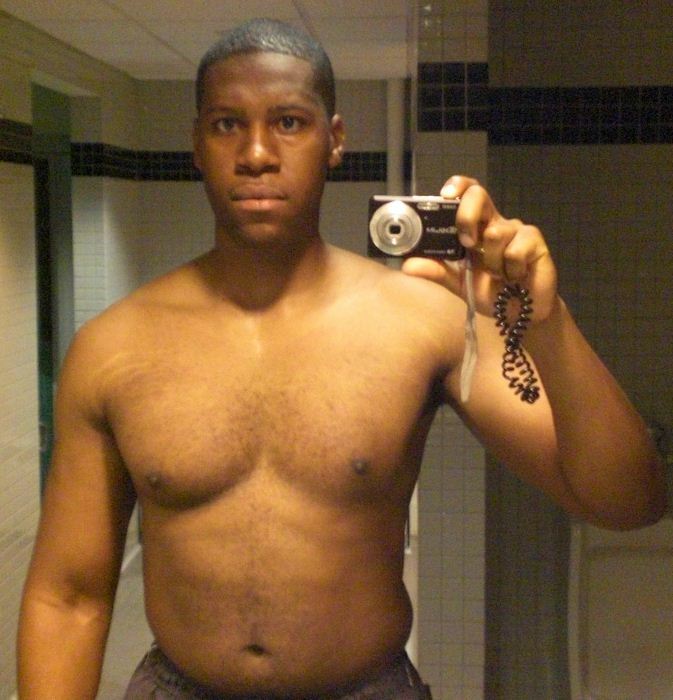 So when I first set out to transform my body the first technique I learned was the "bulking" technique. Following a meal plan and workout plan designed to build MAXIMUM muscle gains just made the most sense for me at the time, especially for someone like me who seemed "allergic" to building muscle at the time. Even though this "initial" transformation was over 2 years ago I didn't realize how much fat I actually put on during that "bulking" phase until I looked at a picture of myself this summer after my six pack challenge with my sister. Remember how I said you have to "limit" your cardio when you're bulking. Well I took that a little too far and virtually ELIMINATED cardio from my workout plan, which is a BIG NO NO when you're bulking up PERIOD (unless you're actually underweight with a low body fat and even then that's only for your first few weeks). First I'm not gonna lie, I was lazy. I kept saying I'll do cardio next time (for months). Not only is this bad for your heart and your entire cardiovascular system but its also bad for your fat gains. Since I was consuming SO MANY CALORIES each day, that 20 - 25 minutes of cardio per workout was CRUCIAL to keeping my fat gains to a minimum. I can go on and on about the excuses I made, but let's just say live and learn. And FYI, cardio is essential even when "bulking". Now that I think about it, my cholesterol must've been through the roof with all the packaged and pre-made stuff I was eating (they're usually jam-packed with sodium). And what made it even worse was the fact that I was eating this stuff at all the wrong times. So multiply these daily bad eating habits throughout 4 - 5 months and BAM you get MASSIVE Fat Gains. So as you can see Bulking has some good things about it, some bad things about it and some UGLY things about it. But overall I do believe that this is still a very highly effective way to build muscle, especially if you're a naturally skinny guy like me and you natuarlly struggle building muscle. 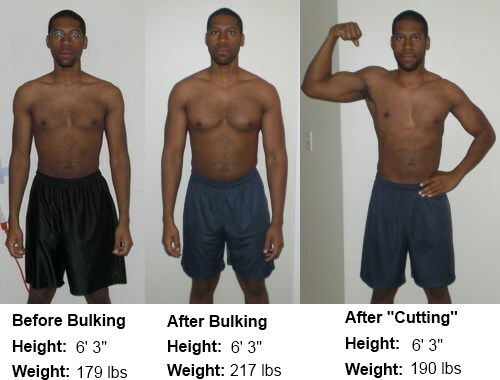 Who Is "Bulking" Really For??? then I'd say the "bulking" technique might be your best way to go. The best program I've seen (and actually used) that'll teach you how to bulk up with the "bulking" technique (the right way) is the No Nonsense Muscle Building Program, if you fall into the category above then I highly recommend you give it a shot. then I'd say the "bulking" technique isn't for you. If you fall into the category of wanting to build lean muscle without the fat then I highly recommend you give The Somanabolic Muscle Maximizer program a try, everything about this program (from the workout plans, meal pleans, post workout shakes, etc) is designed to help you build muscle with virtually no fat gain. Ok guys, that's my rant for today. I hope this helped. Let me know what you think about the bulking technique by leaving a comment below.